Planning for travel? 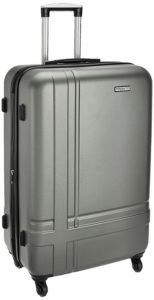 well buy Pronto Geneva ABS 78 cms Grey Hardsided Check-In at Rs 3270. It’s a loot offer. So, Hurry up!! and grab it fast before deal ends. How to buy Pronto Geneva ABS 78 cms Grey Hardsided Check-In at Rs 3270?